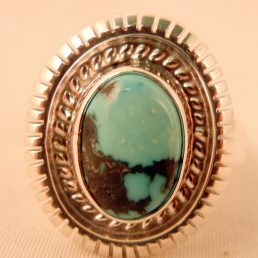 Silver turquoise ring is a beautiful addition to any woman’s jewelry box. 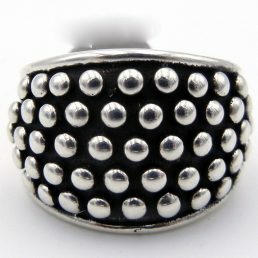 Palms Trading Company has a stunning selection of handmade gemstone rings at fair prices. 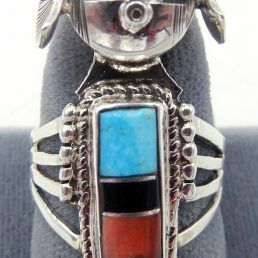 Try on one of our beautiful Native American rings and watch your style come alive with the spirit of the Southwest. 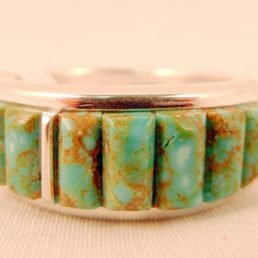 Every silver turquoise ring in our collection is handcrafted using techniques that have been passed down through generations of Pueblo culture. Overlay, sandcasting, and inlay are just some of the characteristic design traits you’ll see in our impressive jewelry collection. 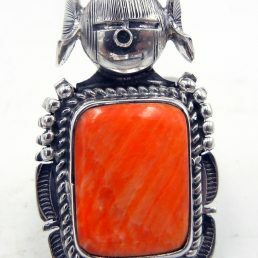 Beautiful turquoise, spiny oyster, coral, and other natural materials decorate sterling silver bezels and settings. 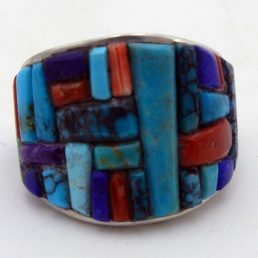 The authenticity of these rings is apparent in the unique patterns, symbols and designs that you’ll only find in Southwest Native American jewelry. As with any other fine jewelry, you must ensure the cleaning products you use will not harm the piece. 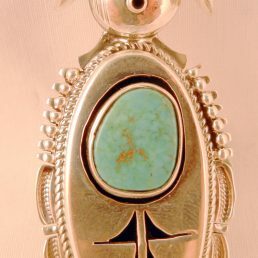 Because Native American jewelry at Palms Trading Company is created with natural materials, we suggest that extra care is taken. Chemicals in strong solutions, such as over-the-counter cleaners, can change the color of the stone or damage other components of the piece. 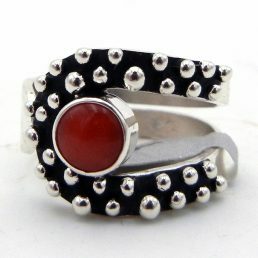 We do not recommend submerging jewelry with stones in any kind of liquid solution. For pieces made only of sterling silver that do not contain stones, we recommend that you carefully clean your jewelry by lining a sink with aluminum foil and soaking the piece in a mixture of salt and boiling water. 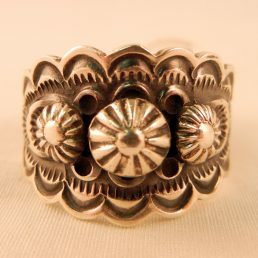 An alternative method is to gently polish the piece with a soft cloth; scrubbing the jewelry with rough pads or bristles could damage the metal or stones. 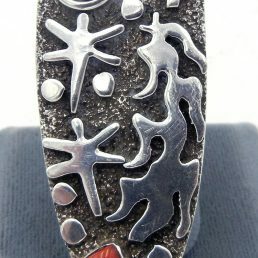 Much of the Native American Indian jewelry at Palms features unique gems and other precious stones. For tips on how to responsibly clean your sterling silver ring, call our store and allow one of our helpful employees to ensure you keep your jewelry sparkling.